EM-PRO is a leading company in the production of limit switches in Serbia and the Balkan Peninsula. The company’s products are used in open-pit, ore and coal mines, as well as power plants, steel industries, foundries, machine industries, shipbuilding, and cement plants. EM-PRO develops and manufactures products to suit different industry needs for the protection of machinery and equipment, which makes EM-PRO products suitable for heavy-duty conditions and general-purpose use. The company’s products are suitable for difficult working conditions and can be divided into two groups. 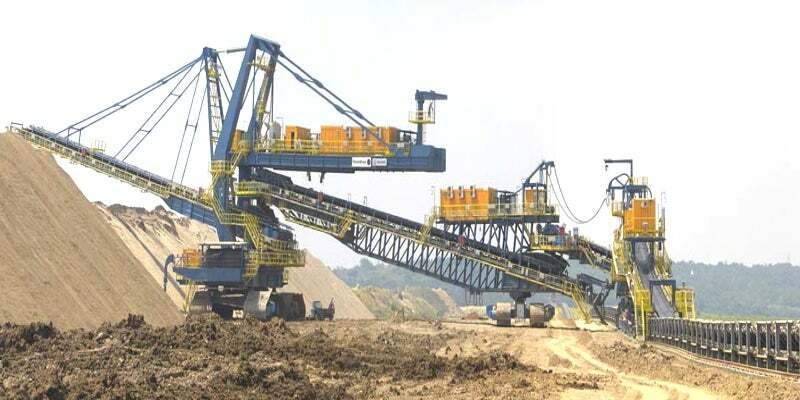 These include switches for the protection of conveyor belts and machines on open-pit mines and power plants and limit switches for cranes used to limit horizontal or vertical movement. EM-PRO’s switches are available in two types: emergency-stop pull-rope and belt-misalignment. Emergency-stop, pull-rope switches are installed on the approach sides of conveyor belt systems or machines, and can be operated at any point along the length of the section. Misalignment switches are mounted on both sides of the drive drum with their rollers and detect the possible displacement of a conveyor belt. Depending of the system, both types of the switches can disconnect single or multiple drives. EM-PRO offers lever and spindle limit switches for cranes in mining operations. Lever limit switches feature rollers with simultaneous translational movement of the bridge or trolley on cranes. Spindle switches stop the movement of hooks in the up or down position. All EM-PRO switches are manufactured with a robust aluminium-alloy housing, which can be replaced with ferro-alloys upon request. Inside is at least two micro-contact (snap action) switches, with 10A / 16A voltage up to 400VAC. EM-PRO’s conveyor protect switch is available with a signal lamp and two-wire, long-distance bus module. A strong spring inside the switches has a pulling force of approximately 5kg, which guarantees efficient operation. The brake system keeps the mechanism in the off position until the brake lever is reset. Switch operating temperature ranges from -25°C to 80°C, however switches can be supplied with -40°C to 80°C, upon request. The switches are manufactured in high-mechanical protection IP-65 / 66 and in accordance with standard EN 60947-5-1. EM-PRO is flexible and can manufacture small-series switches to suit customer requirements. Using 3D technology, the company can also build models for new requested switches. The firm’s technical employees provide high-quality solutions to suit individual customer needs. In addition, the company will offer competitive prices for larger quantities of standard EM-PRO switches.